Ralph Gordon Erickson, 92, passed away on April Fools’ Day, with his loving family by his side. Ralph was born March 31,1927, in Park City, Utah, to George Emil and Thamszon Cottam Erickson. 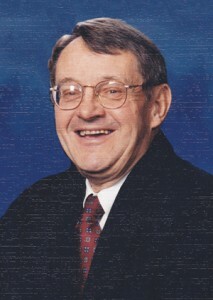 He attended Park City schools and graduated from Park City High School in 1945. He served in the United States Army from 1946-48. During the Korean conflict, he was called again and served for 13 months in a combat unit. Ralph married Joyce Murray, also of Park City, on April 20, 1957. They were blessed with a son, Paul. They lived for over 50 years in Tooele, Utah, where they had wonderful neighbors and made many lifelong friends. Ralph was employed by Tooele Army Depot. A member of The Church of Jesus Christ of Latter-day Saints, Ralph served as ward membership clerk in the Tooele 14th Ward for many years. He loved serving as a veil worker in the Salt Lake Temple. Ralph was a true fly fisherman! He tied his own flies, built his own rods, and dreamed always of fishing. He loved to wade Kimball Creek as a boy and the Big Hole River as a younger man. During later years, he enjoyed float-tubing in Montana and Wyoming. Ralph and his buddy, Tom Parrish, fished the streams, rivers, and lakes of the mountain west for more than 75 years together. Ralph was preceded in death by his parents; his only sibling, George Allan (Sachiko) Erickson; and two granddaughters, Melissa and Jennifer Erickson. He is survived by his wife, Joyce; brother-in-law Kent (Sharon) Murray; son, Paul (Stephanie); and three grandchildren, Nicki (Jordan) Gilbert, Matthew (Andrea) Erickson, and Tiffany (Tanner) Peterson. He was also blessed with six great-grandchildren: Hudson, Miles, and Christopher Gilbert; Tate and Elliott Erickson; and Parker Rose Peterson. These grandchildren and the little GREATS held a very special place in their Grandpa’s heart. He very patiently taught them how to whistle and tie their shoes, and he loved taking them for long walks. Ralph and Joyce have enjoyed living at Legacy House of Bountiful for more than three years. They deeply appreciate the remarkable care received there and from the hospice care providers from Comfort Worx. They say, “Thank You” to the residents, employees, and caregivers who have made this a happy time. Ralph’s funeral service will be held Tuesday, April 9, at 11 a.m., at Russon Mortuary, 295 N. Main St., Bountiful, Utah, where a viewing will be held Monday, 6 – 8 p.m. and Tuesday, 9:45 – 10:45 a.m., prior to services. His burial will take place in the Salt Lake City Cemetery. Online guest book at www.russonmortuary.com.